Android becomes most popular in today's market just because of its ease of access and wide availability of utility applications that helps you to make your life more easier. But unlike old java based mobile phones, Android application take more storage space. HD videos, movies and thousands of music tracks become common in smartphones. After all this, storage space becomes most necessary thing to worry. But how can you manage it ? 16GB, 32GB memory card will give you some advantage but still you need external storages. As name suggest the pen-drive that does not require wire or any physical connection. You just need to plug that device to your laptop or PC for an hour, And let it be charged. while in charging you can still take advantage of it just as normal storage drive. Once it charged, remove it from your computer and you just need to press on button. And it will create WIFI hotspot. Now install sandisk App in your smart phone and turn on the wifi. Done! Whatever you stored in that device can be accessible through wifi. You can stream HD videos, Watch movies, play songs, open documents etc. For security purpose you can add password to access it securely. Limitation of this device is that you can only connect two devices simultaneously. How it will expand your mobile phone's storage? As we know that smartphones comes with some inbuilt storage as well as some expandable storage capacities. This expandable storage capacity is fixed, it can not be changed. For example if your mobile phone's maximum expandable storage capacity is 16GB, then you can not access more than 16Gb Of any external devices either MMC or Pendrive through OTG. But wireless pendrive is based on WIFI hotspot. So that it works as server just like an internet storages. That's why, If you mobile supports only up to 16GB, Still you can expand your storage up to 128GB though this WIFI pendrive! Where and when can i get this Pen Drive? 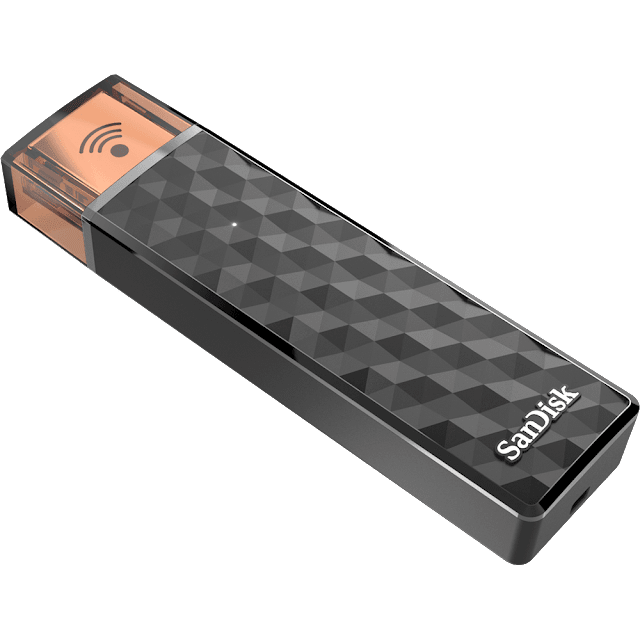 You can buy this sandisk wireless connect stick through Amazon, Ebay or flipkart. This wireless stick has been launched and now available in the market with 16GB, 32GB and 128GB storage space. very good article. but wifi pen drive is more costly then normal one.